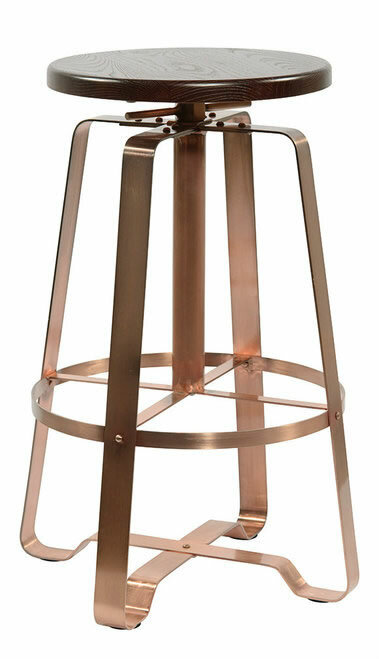 The stool features a beautiful copper frame that is simplistic and bold in design. Thick ribbons of copper interlace to give the frame four legs resulting in a very stable seat, whilst the circular footrest allows you the comfort of taking the weight off after a long day. Each leg is finished with a plastic floor protector. The Padasot has a circular seat top that comes in a lovely natural wood finish which compliments the on trend copper framework beautifully to create a gorgeous colour combination. 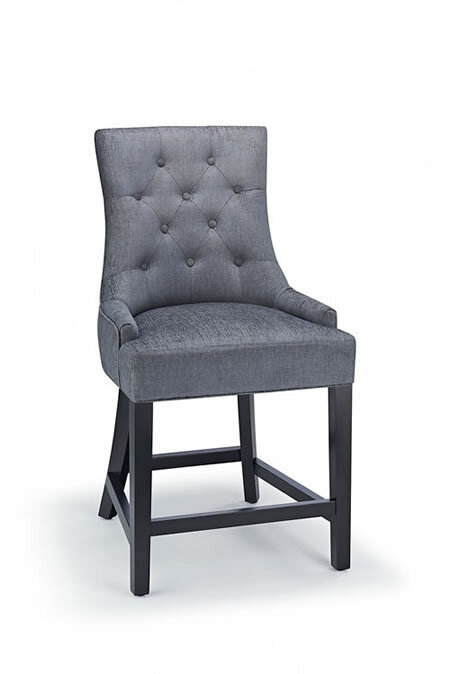 Features also include a lockable screw thread for adjustable height from 650-750mm and 360-degree swivel. 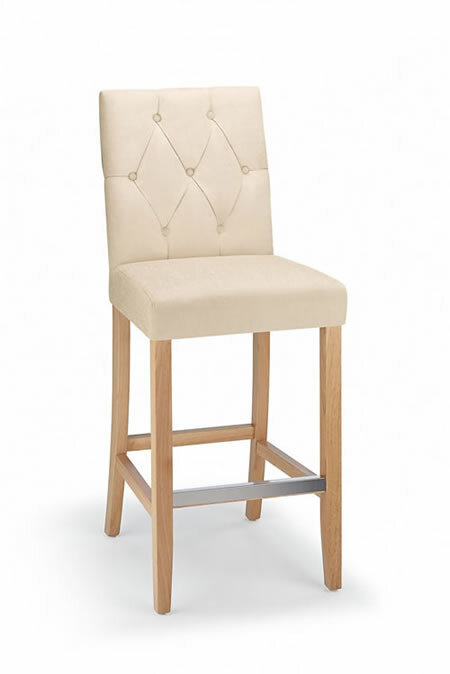 The Rochjo Oak Frame Bar Stool is available in charcoal, grey, white and cream. 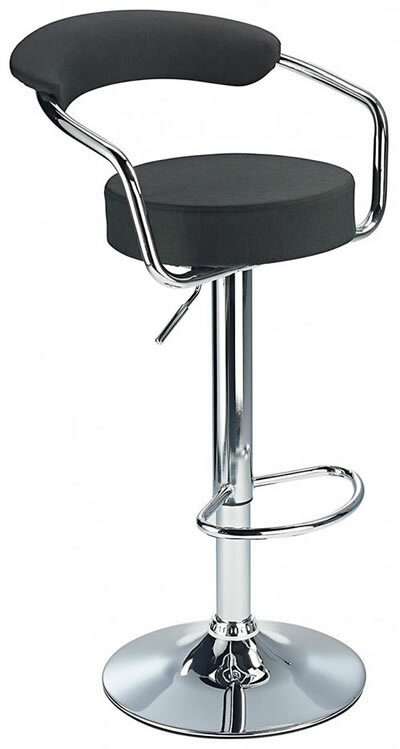 The fabric seat and chrome effects merge together throughout the bar stool, with chrome effect metal covering the footrest, stand and base. 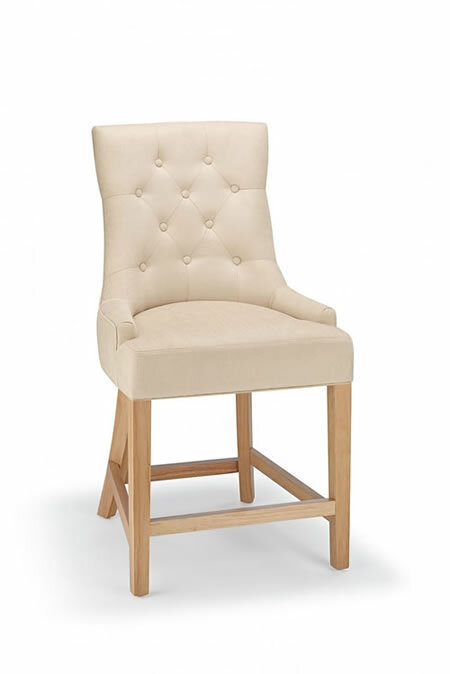 The circular seat is finished with a fabric seat, which also continues over the modern curved backrest.